It’s the constant refrain from my group of friends when we manage to spontaneously get the gang together at one of our houses for dinner. The answer to our question is that so often, we put pressure on ourselves to make dinner parties these elaborate, planned-out affairs with flowers and place settings and multi-courses. And while that can for sure be loads of fun, I’m even more of a fan of laid-back hangs. We’re talking last-minute invites via text, food served family-style on big platters, wine bottles on the table, and music turned up a little too loud. 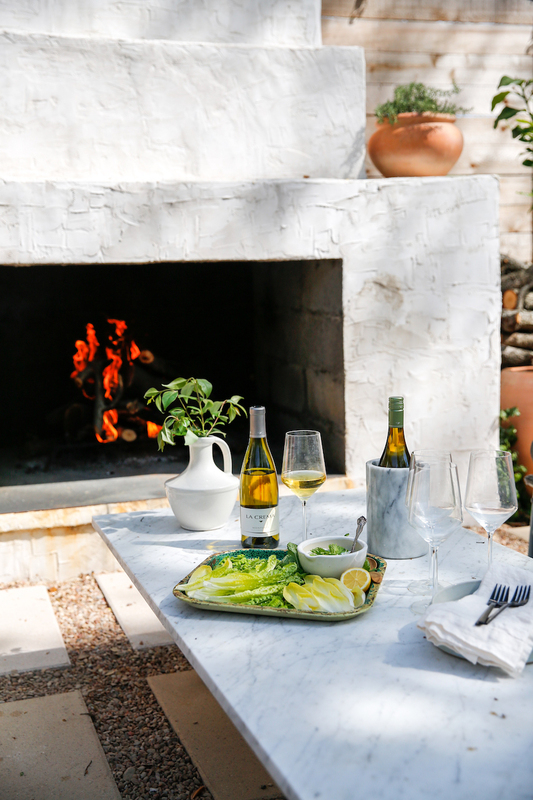 Scroll on for the dinner we threw in the backyard of our friends Abby and Scott, along with a breakdown of the only 5 things you need for a backyard spring dinner party. 1. Family-style dishes that come out of the kitchen whenever they’re ready. Since I started my career in catering, naturally my first step to planning any party is thinking about how I want to serve the food. Is it buffet-style, seated and served, family-style, straight off the grill? There are so many options that create a different feel and flow, and for this laid-back gathering, I thought it would be really fun to create a succession of family-style dishes that can be served as soon as they’re ready so that people can graze throughout the evening. Plus, it meant that I wasn’t in any kind of time crunch. It was really fun to cook a bit, bring out food, hang out and eat, and then when I felt like it, head back to the kitchen with a friend to help me get the next course ready. I kicked things off with this Mint Tzatziki with Endive, Romaine, & Sugar Snaps. I love starting a dinner with a bright crisp salad, but since salad’s not ideal to serve in a mingle-y setting, this was my finger food interpretation. I stuck to all bright shades of green for the veggies, which made them a total feast for the eyes and a nice departure from your typical crudité platter. One benefit to this starter is that you can prep it a couple hours in advance and just let it hang out in the fridge until guests arrive. 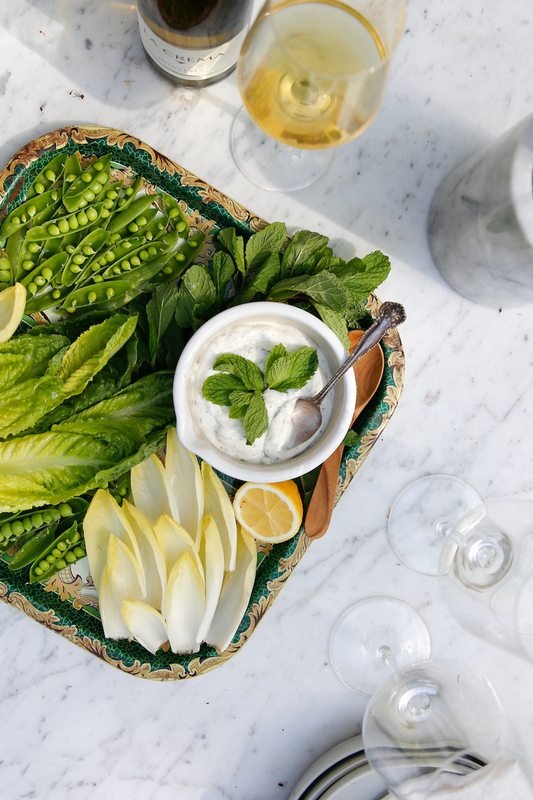 Get the recipe for my Mint Tzatziki wtih Endive, Romaine, & Sugar Snap Peas here! Next up: these insanely delicious Wild Mushroom and Ricotta Toasts. YUM. One of my favorite pizzas is from a local spot that puts sautéed wild mushrooms and herbs on top of fresh ricotta, and I let that inspire these pretty toasts that everyone went crazy for. 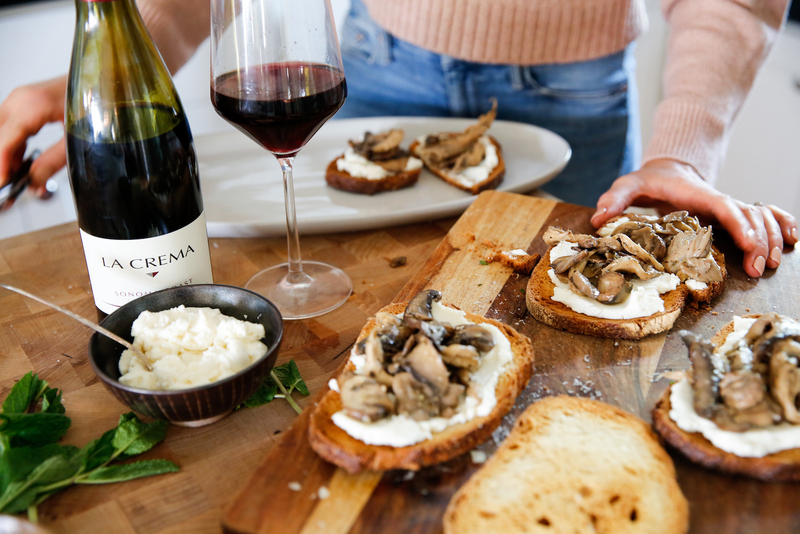 Sauté the wild mushroom mixture and toast the bread in advance, and when it’s time to serve, grab a friend to help you dollop ricotta and scoop the mushroom mix onto each one. Easy breezy! Get the recipe for my Wild Mushroom and Ricotta Toasts here! The piece de resistance was my Lemony Pasta Carbonara with Peas & Zucchini. 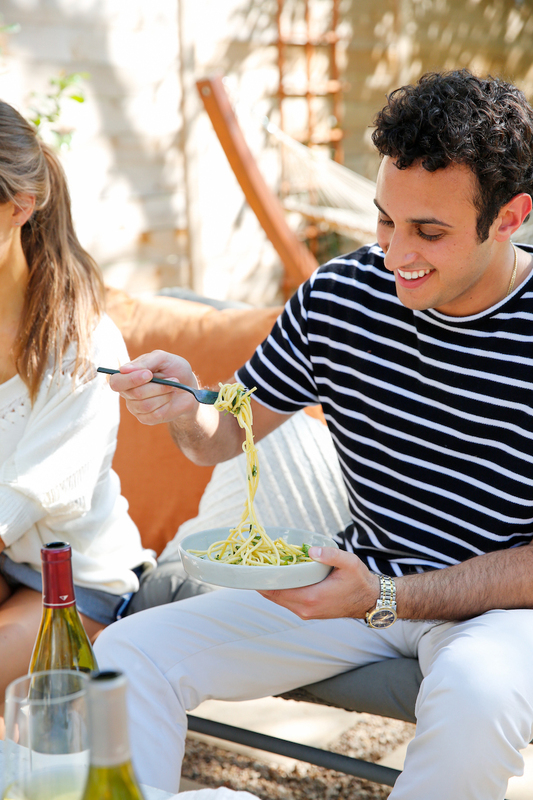 To be honest, I don’t usually consider pasta to be the most party-friendly food since you really want to serve it right when it comes off the stove and is still hot. But since we kept our menu fluid throughout the evening, there was no time pressure and by the time I brought the pasta to the table with bowls for guests to scoop out their own, everyone was ready to devour it on the spot. I lightened up the classic carbonara recipe by adding more veggies and bright bursts of green that scream “spring,” and will satisfy all the comfort food cravings without making you want to take a nap right after dinner. Click here to get the recipe for my Lemony Pasta Carbonara with Peas & Zucchini. I served my go-to faves throughout the evening, La Crema’s Monterey Chardonnay, Sonoma Coast Pinot Noir, and Monterey Pinot Gris. Planning the menu with some wine pairings in mind is a low-key way to elevate any gathering and make it feel a little more special. 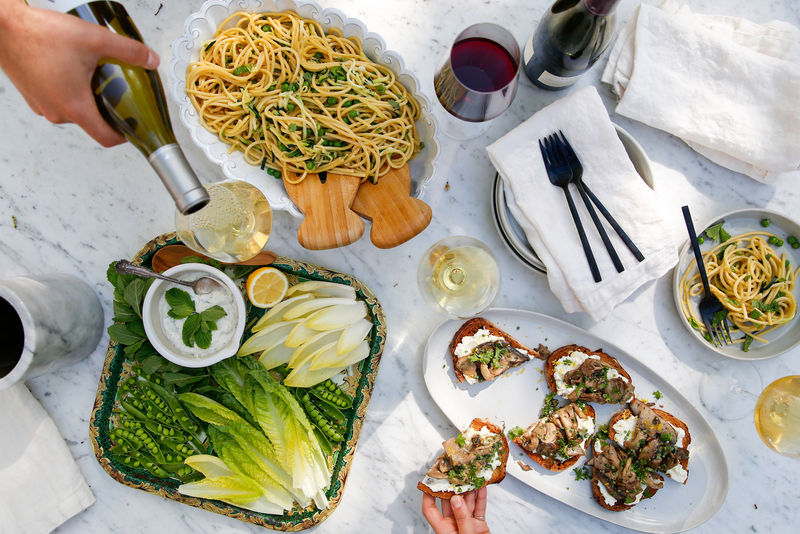 For this grazing-style feast, I asked a friend to open a couple bottles of whatever wine I was pouring with each dish I brought out, and then I let guests pour their own. If someone prefers to stick with the wine they had instead of trying the pairing, I encouraged them to sip whatever they loved best. 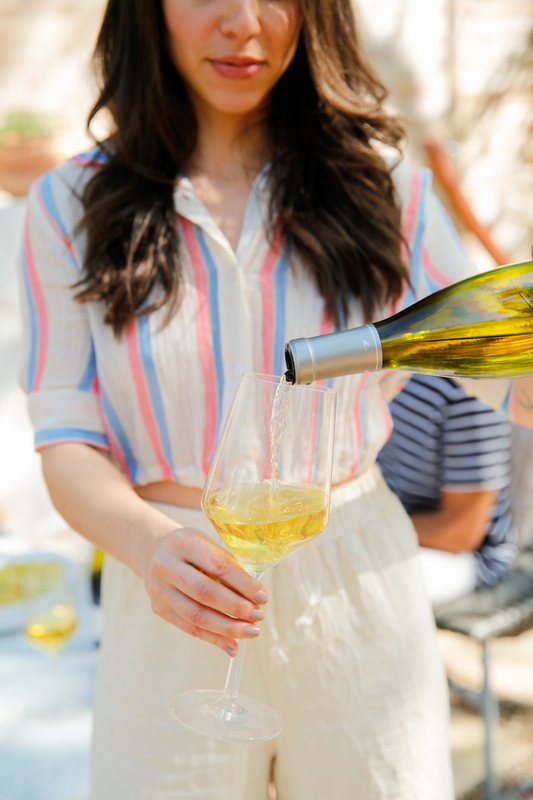 With the bright flavors of the veggies and tzatziki, I poured the Monterey Chardonnay which tastes like spring in a glass with its peach, papaya, and tangerine notes. The earthy mushrooms on our next course were a natural pairing for the Sonoma Coast Pinot Noir (which I personally love with anything at any time of year.) It’s juicy and rich with flavors of red plum, raspberry and blood orange balanced with just the right amount of minerality. And with the Pasta Carbonara, I poured my favorite wine for this time of year, the Monterey Pinot Gris with its nectarine and citrus blossom aromas. It’s refreshing and light, and a perfect pairing for anything lemony! We ended the night by roasting marshmallows and making s’mores over the open fireplace, and by that point we had all the wines open and everyone just sipped what they were loving. 3. A Lounge-y spot in the backyard. Sometimes it’s nice to forego a traditional dining table and chairs in favor of a comfy spot where everyone can settle in for good conversation. It just makes people feel at ease, and any time I can kick off my shoes and curl my feet up on a sofa for a good chat with a glass of wine, I’m in my happy place. Abby and Scott have this amazing backyard living room in front of the fire that makes you basically want to live outside (no surprise Scott works for an interior design firm and has the most incredible eye), but you can also just pull out a couple chairs from inside, throw a few pillows on a deck or outdoor rug and create a makeshift lounge space for the evening. 4. Fireplace, fire pit, or lots of candles. 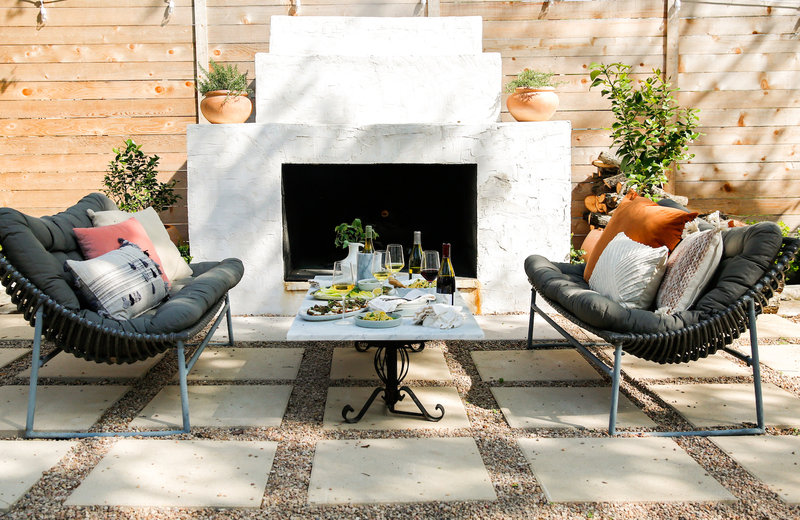 This backyard happened to boast the most beautiful stucco fireplace that Scott actually designed and built himself, so if you’ve got an equally groovy setup, then by all means plan the entire gathering around it. We made s’mores, which was the perfect after-dinner activity that made everyone feel like a kid and get marshmallow all over their hands. 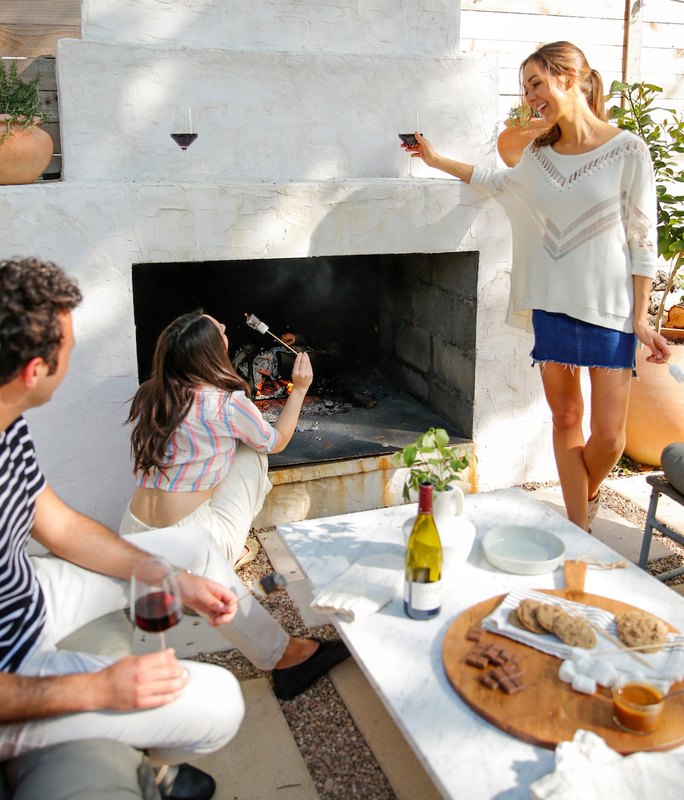 You could also build a makeshift fire pit or even setup a tabletop fondue pot which would be just as fun for s’mores making. 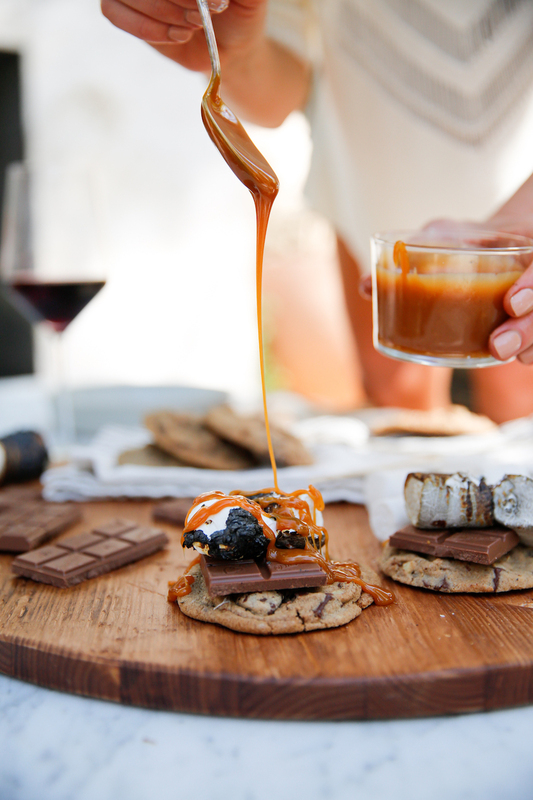 I upgraded these s’mores by using the best chocolate chip cookies instead of boring graham crackers, then topping with a square of really good chocolate, a burnt marshmallow (or two), and then to take it really over the top, a drizzle of warm caramel sauce. 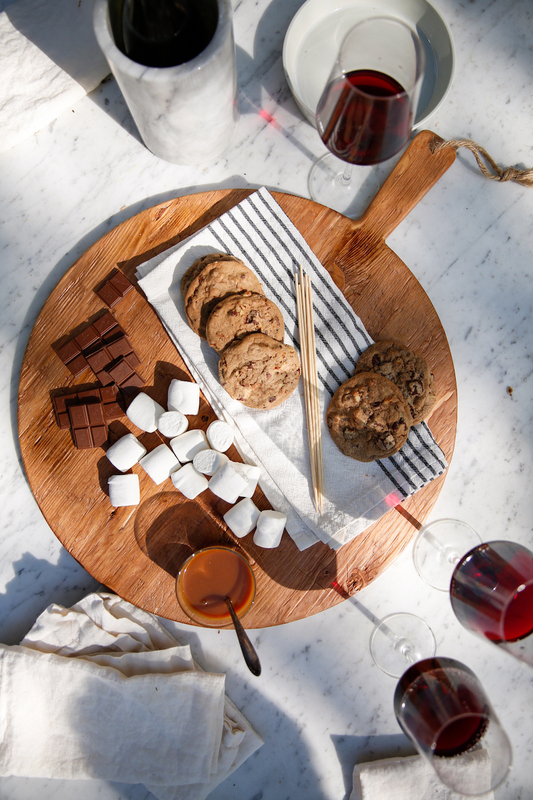 We all vowed that we’d never eat s’mores any other way again. Even if a fireplace or fire pit isn’t in the cards, it’s tough to beat a table that’s full of flickering candles. 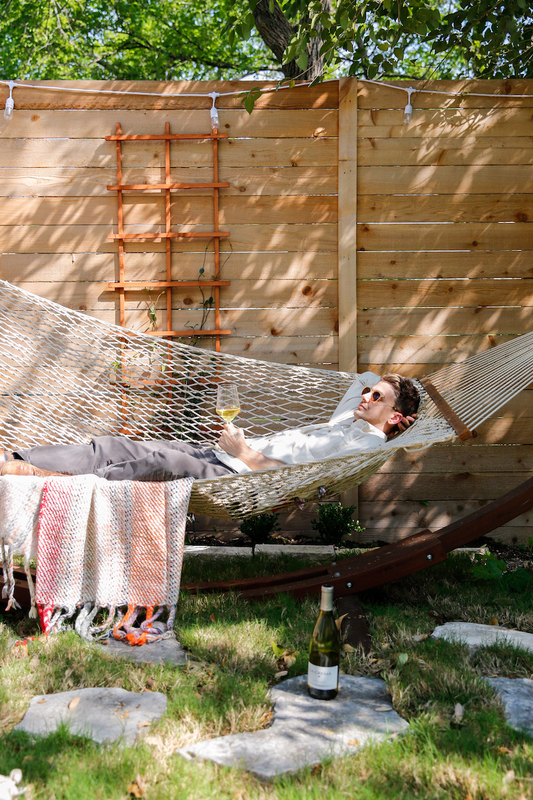 There’s no easier or more affordable way to add a magical feel and make guests want to hang out long after the sun goes down. 5. A Vibe-y playlist to set the mood. Have you ever been at a party where everything looked beautiful and the food was delicious, but for some reason it just didn’t feel that FUN? Chances are, the host may have forgotten to turn on the music, or it was down so low that no one could hear it. There is truly no better way to add great energy to a party than the right music – whether it’s upbeat happy beats when the party gets started or low-key chill vibes for dinnertime, or high energy old school to get people dancing after dark. Check out our Spotify station for lots of great playlist ideas including our Dinner Party tunes right here. 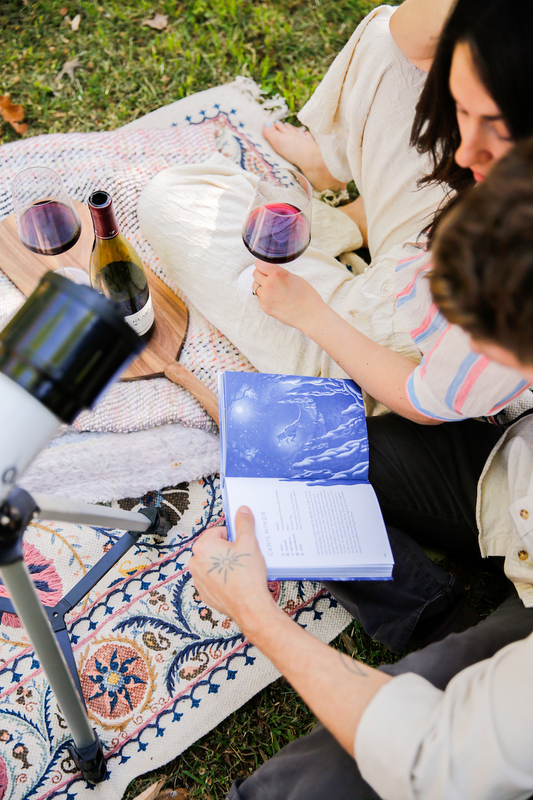 *Bonus*: Stargazing setup for after-dark fun. You don’t need a telescope to stargaze. 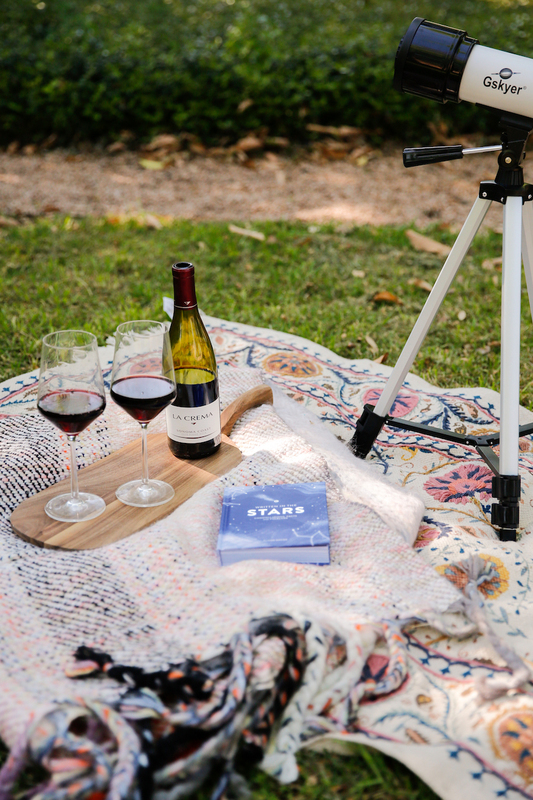 With the help of an affordable star finder like this one, the unaided eye can see quite a bit on a clear night as long as you are far away from city lights! 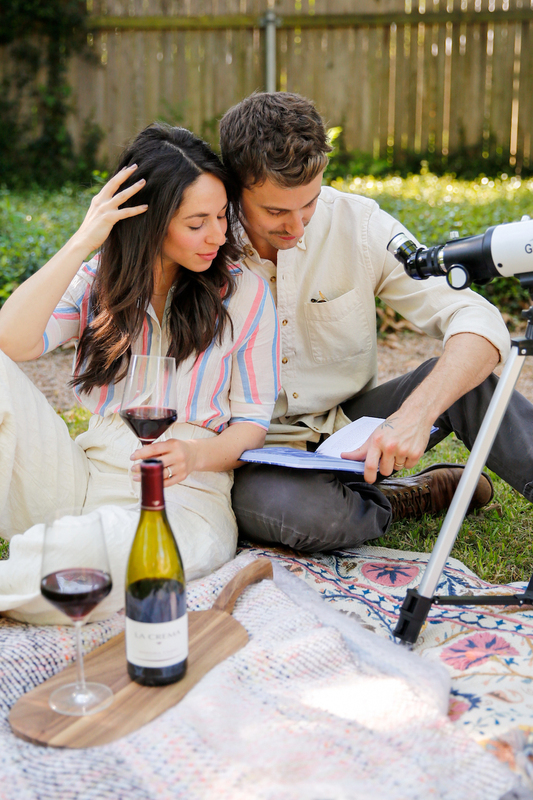 That said, we took our stargazing to the next level by investing in just a few handy tools: a beginner’s portable telescope, and a constellations guidebook. After that, all we needed were a few cozy blankets and glasses of wine to really enjoy the show. 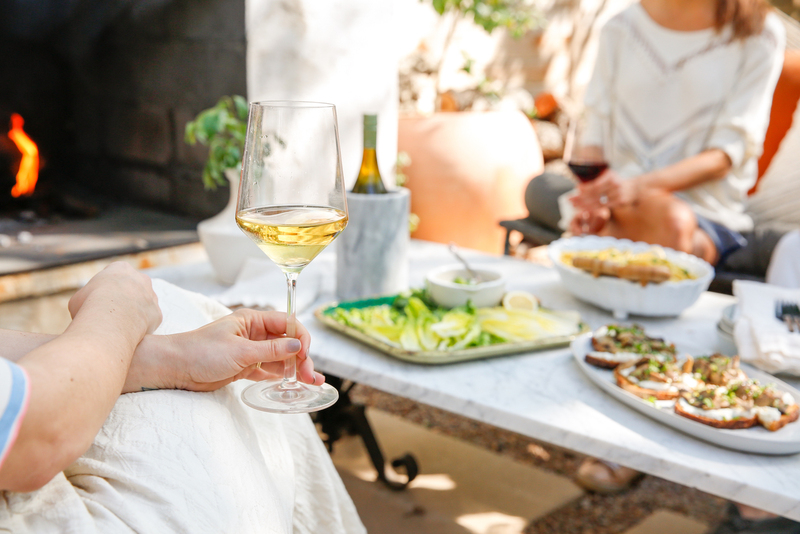 Cheers to the fact that spring has sprung, and inviting friends to gather in the backyard is the perfect way to celebrate. 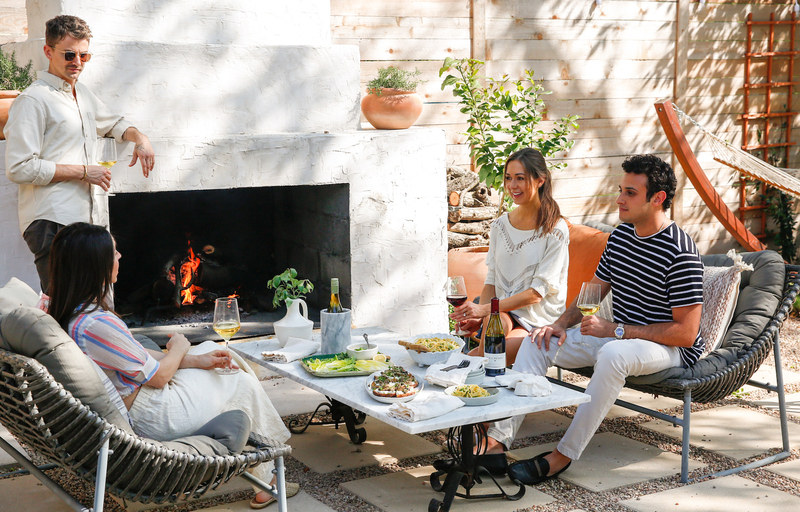 Don’t wait for an occasion; just pour the wine, bring out the food, and savor the total joy of eating in the great outdoors with your favorite people. 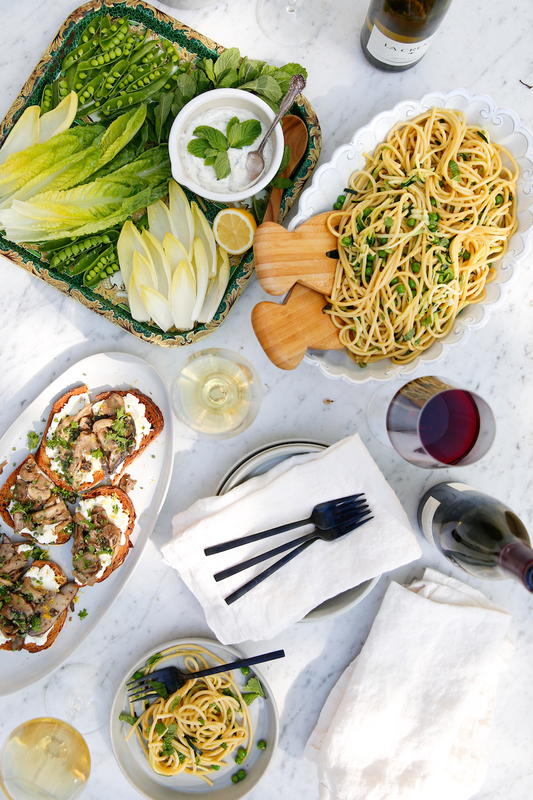 This post was sponsored by La Crema, the perfect pairing for all of our springtime dinner parties!